10 ton overhead crane of us has various types, and working conditions if you need a 10-ton crane, come regarding us, we will make it available for your facility. 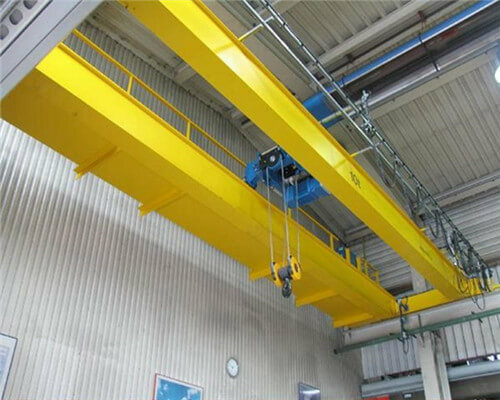 The 10 ton overhead crane can be widely employed in many different working conditions, such as steel mill, warehouse, workstations, factory, plants, etc. Paired with electric hoist, hooks, grabs, etc. the overhead crane can perform better than any other general usage bridge cranes, and the loading capacity will also enhance to a large degree. Apart from 10-ton bridge crane, 1 ton overhead crane, 5-ton crane, and 6 ton overhead crane are also our hot products. 10 ton overhead crane in Ellsen, includes many types, and every type of overhead crane ton you need, come to us, we will make it available to you. Equipped with the explosion-proof electric chain hoist, the 10-ton crane can work in the heavy duty and hazardous explosive working environment. Equipped with Ellsen brand electric chain hoist, you can use the highly performing lifting machine anywhere, such as the factories, shipping ports, transportation. The 10-tonne crane with high configurations, reduce your downtime. In the meantime, the bridge crane 10 ton is also highly qualified proofed, thus the maintenance of our customers will reduce a lot, compared buying some other cranes from our counterparts in the same industry. Compared with traditional overhead cranes, Ellsen 10 ton overhead crane is much safer equipped with a two-transmitter intelligent radio to send critical information to the crane operator. 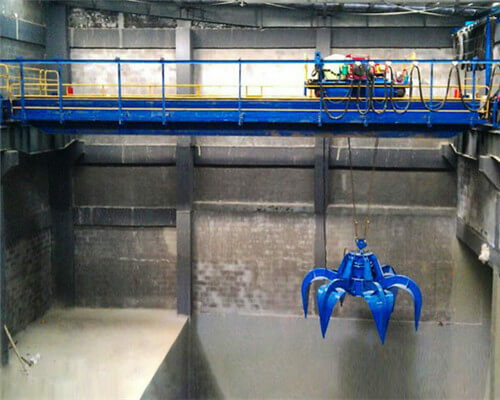 Its facility includes upcoming maintenance needs, total weights of the lifting materials. It will ring when the crane approaches, reaches or exceeds the limited loads, etc. With the above such highly configured components, you must worry about the 10 ton overhead crane price. You may think its price is very expensive. However, you are wrong. The price of the ten-ton crane we charge for our customs is not so much high as those crane shop agents since we have our own crane manufacturing factory. Thus, the price we offer to you is factory price, and with China’s one belt one road initiative implementation, we also provide large discounts on our bridge cranes for our clients. 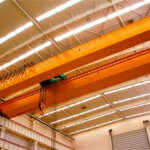 In Ellsen, we manufactured different types of 10 ton overhead cranes for you ; e.g. the explosion-proof overhead crane 10 ton for coal mine, or any factories with combustible working environments; the 10 ton EOT crane used for steel billet; 10 ton ladle crane for steel mill casting; if you need a crane with higher working performance, we can provide you the European Standard Overhead Crane 10 ton; for special usage. You may need 10 ton bridge cranes paired with different parts, such as the forge hooks, then here in Ellsen, we can provide you our hook overhead cranes 10 tonnes; or you may need 10 ton mobile cranes with magnet; either type of overhead crane with any capacity for any working environment, once you have such needs, we can make them available for you to selection. 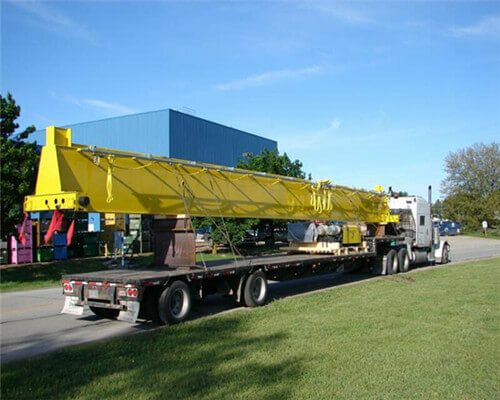 Right here below, we recommend you the following types of 10-ton crane for sale. 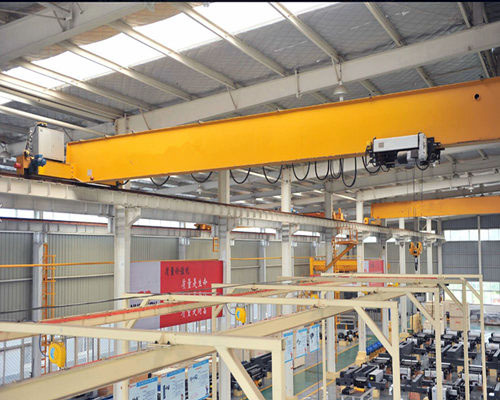 QD model 10 ton hook overhead crane is commonly used indoor room working conditions, such as warehouse, workshops or small working conditions. One of the big highlights of the crane is the crane have dual working classes: A5 and A6, which means the 10-ton bridge crane can be used for many types of working environments such as the workstations, warehouses for lifting heavy duty materials. This kind of hook bridge crane is very flexible in operation. Its cap entering platform has three ways to realize, from the side, end and the top. The cab installation or configuration can be customized for your facility, either on the left or right side of crane once you need, our cranes’ engineer will tailor it for you. Apart from the hook overhead crane 10 ton, you can have your own ideal customized overhead crane with other capacities, here we recommend the following capacities we have customized for our customers, such as the 5 ton QD Overhead Crane with Hook, the 16/3.2 ton bridge crane with double hook, and other double hook overhead cranes with capacity of 20 ton, 32 ton, 50 ton, 75 ton, 100 ton,125 ton, 150 ton, 200 ton, 300 ton, till to the customized 400 tons overhead crane with double hook, any tonnes of hook cranes that you want to buy, welcome to contact us. With the 10-ton grab overhead crane, you can lift heavy loading materials, you can have easy work in your plants, garages, ports, workshops, etc. It’ s a kind of heavy-duty loading material handling crane, under the aid of the QZ10 ton overhead crane with a grab, it can release you of the pain lifting work. 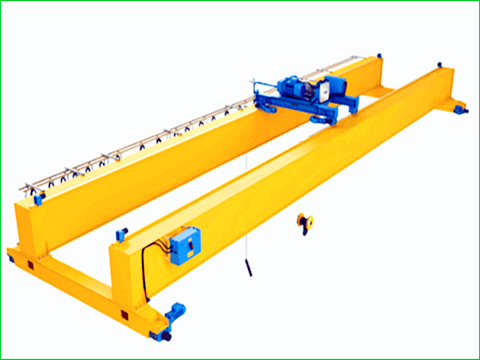 The heavy-duty bridge crane’s working performance is higher than any other general overhead cranes, with A6 working class, it can be frequently used any working conditions. The direction of the platform is for the driver’s cap is side, end, and top. It’s lifting capacity includes the grade weight. The open grab direction includes: paralleling with the beam and plumbing with the beam. Except for the 10-ton grab bridge cranes, we can also offer you QZ grab overhead crane 5 ton, 16t QZ overhead crane with a grab, 20-ton grab overhead crane, or customized grab cranes according to your specific needs. For customers’ foundry industry facility, Ellsen can also provide you with our casting bridge cranes. 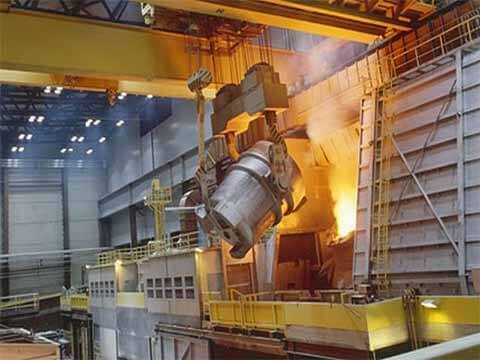 The casting bridge crane is the major material handling equipment for steelmaking and continuous casting process in the metallurgical industry. This kind of casting overhead crane is mainly used for lifting and transportation of liquid steel ladle. The overall structure of the steel mill ladle crane can be divided into a double girder double truck, four beams and four tracks, four beam rail and other types. The first two are generally used for tonnage crane, while the third is generally used for large tonnage of foundry crane. With the aid of the foundry crane, you can promote your foundry industry efficiency to a large degree. Ellsen 5 ton foundry overhead crane features with advanced technology, novel structure, safe and readable, economical and durable, and easy maintenance. Purchasing our nice foundry overhead crane 10 ton, you can also have the following benefits:1. Select the rotary spreader. 2. The gantry hook from the variable.3. Load weighing and display. like some other cranes, we can also provide you with our best-customized services over the foundry overhead crane. 10 ton, 20 ton, 32 ton, 5 tons overhead ladle cranes, and 74 ton until to the 320 to saddle cranes we have made of our customers. Light dead weight, light wheel load and small boundary dimensions which can reduce the costs of plan construction, and save capital investment of lighting, heating and so on. Using high-quality components can reduce the failure rate and maintenance costs. Lowing consumption of total power can reduce the costs, which has remarkable energy saving effect. Any types of Ellsen 10 ton overhead crane you need, welcome to contact us without hesitation.